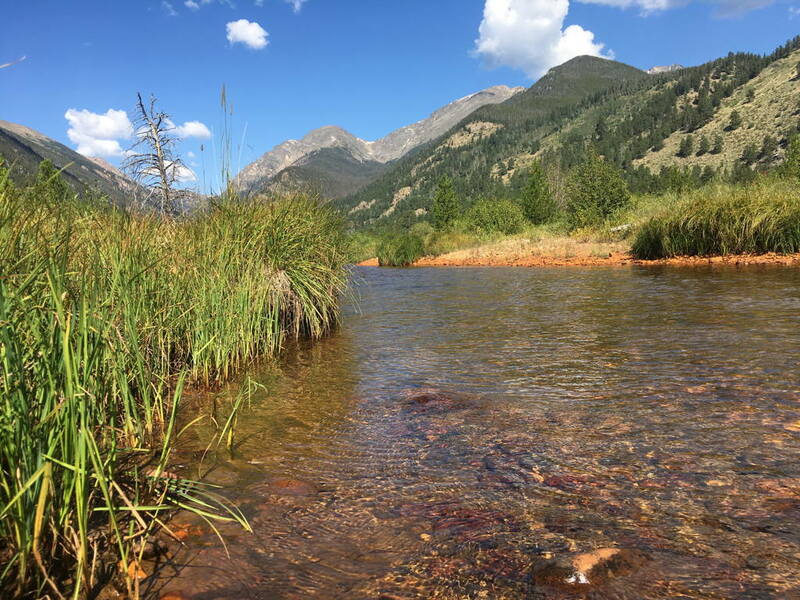 Our Host Bill Gillett and Mark Miller were the only two fly fishers that participated in last Saturday’s trip (Aug 27th) to fish small streams on the east side of RMNP—headwaters of the Big Thompson. 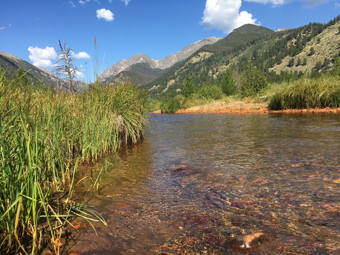 Near the headwaters of the Big Thompson What a day it was! Perfect weather, and very few other fishermen on the stream. Starting our fishing around 9 am, nothing rose to our dry flies until someone turned a switch at 9:30 am. As if on cue, we started getting rises to our dries in almost every new pocket of water we cast our flies into. 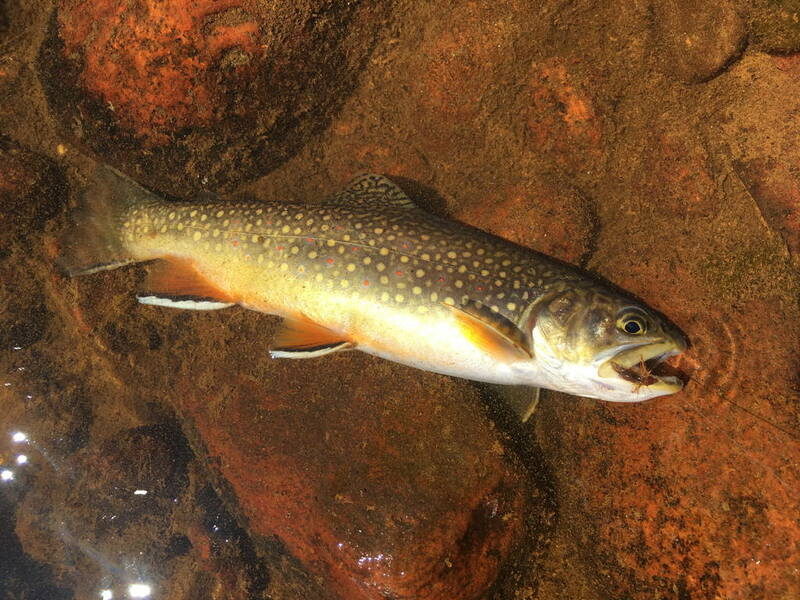 Of course, many trout were very small, but nearly half of those in the net were in the 9-10 inch range, nice size for such small water at such a high altitude. Best fish of the day was a 13" brown that inhaled a parachute cinnamon ant. 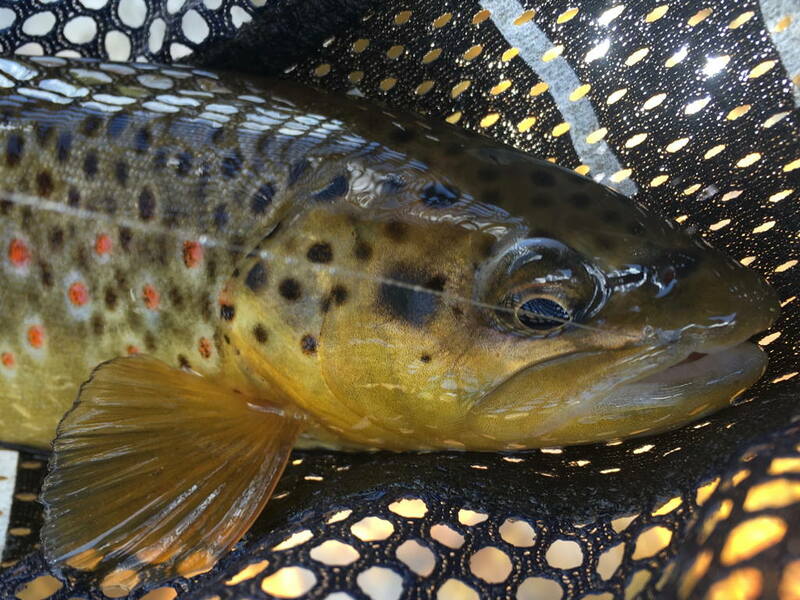 Ants seemed to be the ticket of the day, both black and cinnamon, in size 14 and 12, rather large patterns. Brookies, browns, and one beautiful cutthroat (caught by Bill) added variety to the fishing. Just one rainbow and we would have had the Rocky Mountain Grand Slam. ⇐ Back to story list.